An associate’s degree in fashion design is one of the quickest ways to get a job in the fashion design industry. Students earning this degree are well prepared for many of the jobs that can lead to building strong network connections and ample opportunity in the future. Earning an associate’s degree typically takes about two-years to complete and trains students in many arenas relating to fashion design. Most schools offer an associate’s degree program classes exclusively on-campus. Because an associate degree in fashion design does not always include the physical aspects of designing with materials (some do), there are fashion design schools that offer an AA or AS program wholly online. An associate’s degree program offered wholly online typically includes basic principles of fashion design, including color theory, textiles, history, art, and trade. 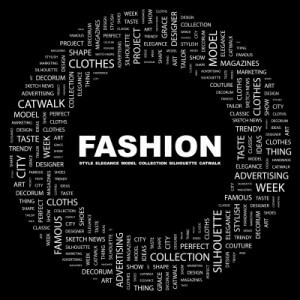 Much emphasis is put into the student’s understanding of the fashion design industry, so classes will typically focus on brand management, launch operations, fashion show operations and planning, public relations, buying and selling, and working with trend occurring in the industry. Many fashion design schools with partial or full-online classes teach the basics of the business of fashion design in their AA and AS course curricula as well. This will often include elements of marketing, advertising, legal issues, ethics, domestic and international expansion, and marketing technologies. Standard classes in a fashion design school’s on-campus AA and AS program will include more details of the fashion design aspect of the industry. These classes include patternmaking to varying levels of difficulty, constructing clothing and shoes, designing concepts and illustration, creative skills, history of fashion design, theory of fashion design, cultural courses, and utilizing technology such as software programs and modeling programs. All AA and AS degrees in the United States requires a certain number of liberal arts credits, as well. Therefore, students will be required to take classes that include topics in elective courses, math, science, and English such as basic or advanced algebra, humanities, social sciences, or fashion science. Most classes in the liberal arts category are still focused on fashion design in their applications, however. Fashion design schools offer AA and AS degrees to prepare students for many careers in the industry….